Tonight it’s the first performance of Maxine Peake’s Hamlet at the Royal Exchange Manchester, undoubtedly one of the most exciting theatrical propositions of recent months, and definitely the Hamlet I most look forward to. 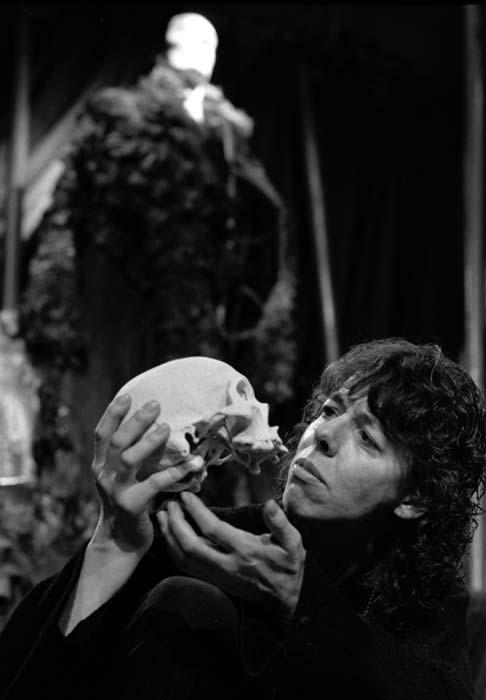 The last notable female Hamlet produced in the UK was in 1979 at the Half Moon theatre, with Frances de la Tour in the title role. It’s alarming to think that’s 35 years ago, which means no one at my age could be reasonably expected to have seen a woman play the part. “De la Tour’s Hamlet was tall, stooped, unglamorous, and from the streets. 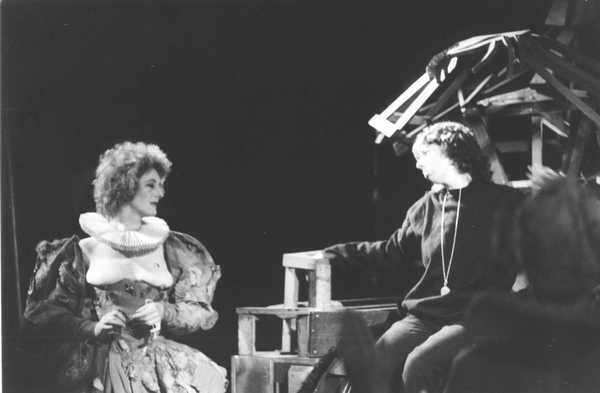 Greased dark hair in lank tangles; her sleeveless jacket was like a Hell’s Anglel’s, leaving arms and upper chest bare.” (…) “After years of training at the RSC she had a unique vocal range. 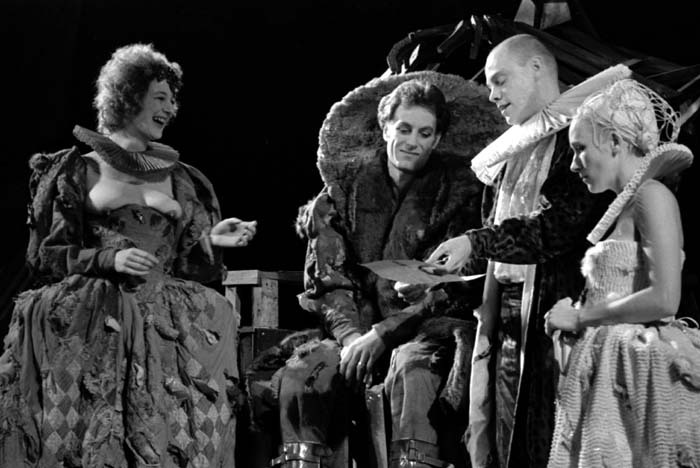 Hamlet’s voice could be nasal or liquid, sarcastically sharp or a deep sob of contained grief”. And at another section of the book: “De la Tour did not deny the prince’s gender or her own; rather Hamlet was the one body of integrity in a market where flesh was the currency of corruption: masculinity and femininity were redundant terms when Hamlet was the only surviving member of the human race”. 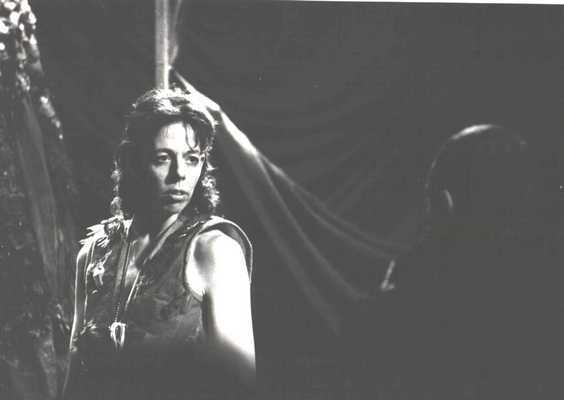 This entry was posted in Photo of the week, Shakespeare, Theatre history and tagged cross gender casting, Frances de la Tour, Maxine Peake. Bookmark the permalink.